If you have a dirty roommate, you have two options. The first one is – an endless struggle. The second one sounds much wiser – make fun of it! Or, even better, make a public joke of it. It will save your nerves, for sure! Justin Cousson is a comedian from LA. 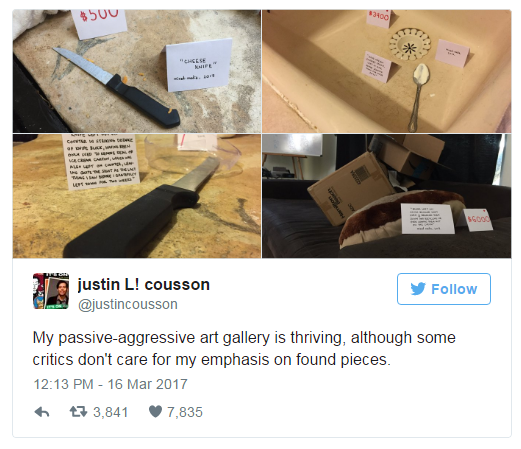 He has created something which he called a “passive-aggressive art gallery” including all the things his roommate carelessly leaves behind. 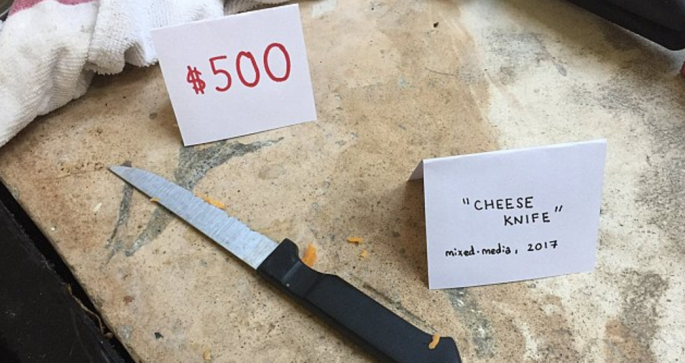 This photograph shows a sad ‘cheese knife’ lying dirty and abandoned on a table. Cousson gave it an exhibition name – ‘mixed media’ but also a price. 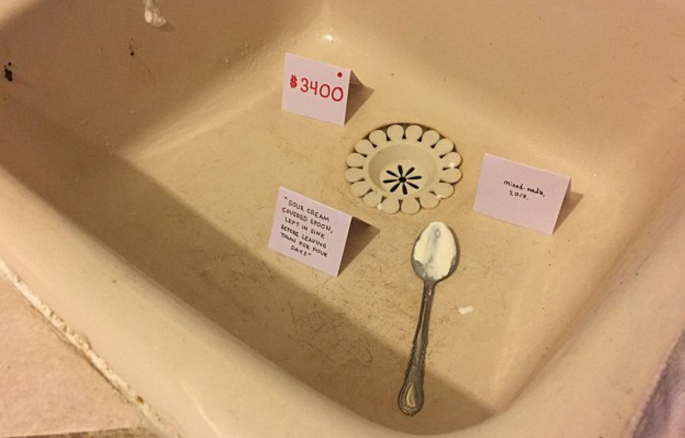 Then, he offered a delightful spoon for $3,400, left with sour cream in it and no intention to wash it till he comes back home. Feeling lucky? 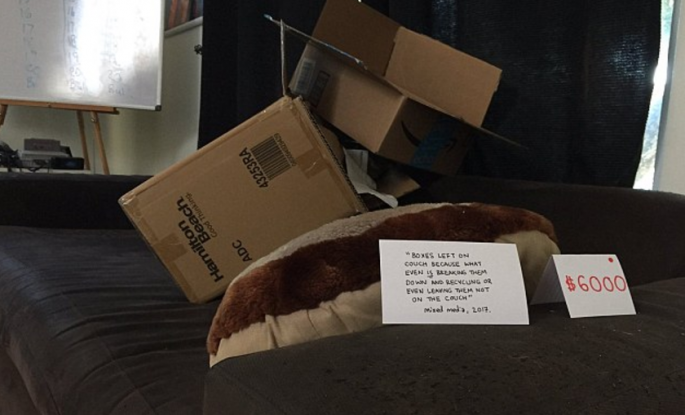 Only for $6,000, several boxes can become yours forever. 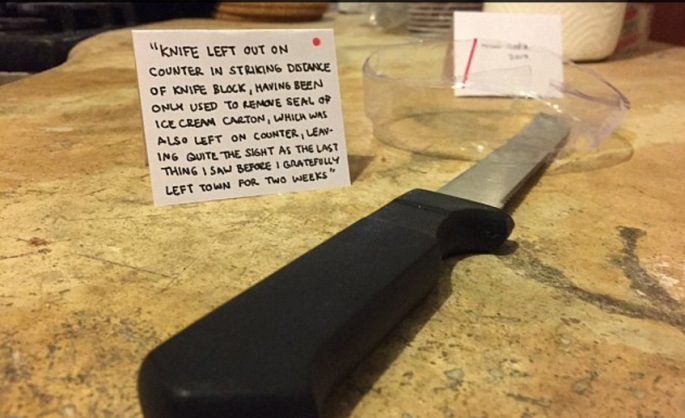 Or, maybe you need a knife? You can use it for something really important, for example -removing the seal from an ice cream box. 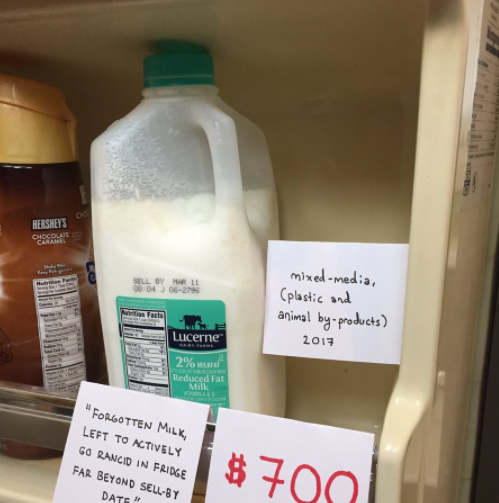 For only $700, you can get retro pieces from the fridge, all of them long ago past their use-by date. Good choice! 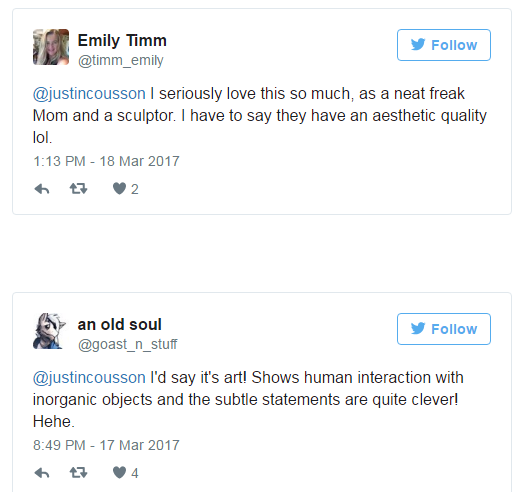 He really managed to draw the attention of the fine art, pardon, fine sarcasm followers.